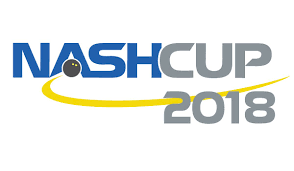 It’s with great pride and excitement we announce that the 11th Annual NASH Cup Professional Squash Tournament – running September 18-23 - will feature the largest women’s purse ever seen in Southwestern Ontario. It may also be the only PSA tournament globally where the women’s purse will be larger than the men’s. This event has been a grass roots effort since its launch in 2008. Supported by the members of London Squash & Fitness, dedicated sponsors, and an incredible volunteer committee the tournament has expanded from an original $5K USD men’s purse to a combined $30K USD purse today. In the coming weeks professional players will begin entering from around the world. Entries are set to close August 7th and our players will be known August 9th. The field will feature 48 athletes including 6 local entries. Tickets are very limited and with some nights already sold out.